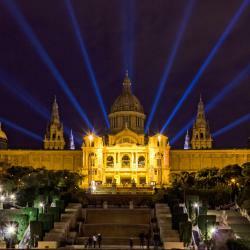 Looking for hotels near Plaza Espanya? 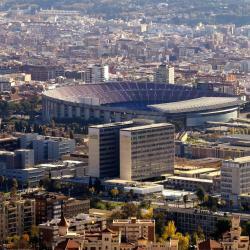 A 12-minute walk from Magic Fountain of Montjuic, Apartments Eixample is located in the Eixample district of Barcelona. The property has mountain and city views. 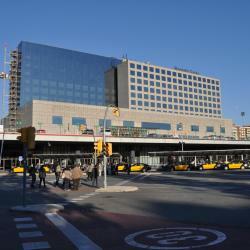 This design hotel is just 492 feet from Plaça Espanya and opposite Las Arenas Shopping Center. 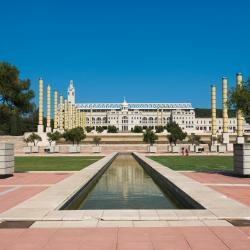 It has an 8th-floor swimming pool and sun terrace with spectacular views of Montjuic. Lempika is a self-catering accommodations located in Barcelona, just 5 minutes' walk from Plaza Espanya. These stylish apartments have free WiFi, a flat-screen TV and DVD player. Only 3.7 mi from the beach and centrally located next to Plaza de España, Apartamento Gran Via Fira Montjuic is a self-catering accommodations in Barcelona. Located 656 feet from Barcelona’s Espanya Metro Station and Airport Bus Stop, Plaza Espanya Apartment is a bright modern apartment with free WiFi and city views from its balcony. 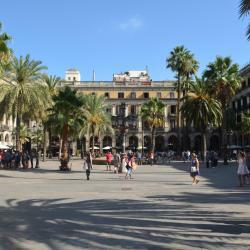 Hotels with great access to Plaza Espanya! Beautiful, we were waiting for the lights during the night for the water fountains , we founded out they are from 9pm to 10pm, we were there 7pm it is not way will be waiting without bathrooms around. 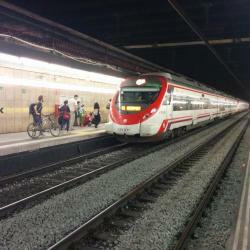 This is the station in order to go to the museum of national art and different exhibitions. Too loud and too polluted around the station. You must be fit to walk all the stairs from the station to the museum. Nice view with a fountain. Go inside the shopping center and make your way to the top. Go inside the shopping center and make your way to the top. Awesome views. If you take the outside elevator you must pay, but inside you can access it for free. Also, a great supermarket in the basement! Beautiful and central. You can take the airobus to and from the airport at this location. You can also walk to the Hop On Hop Off Bus which is very worthwhile for touring the entire city. The mall, in the shape of a bull rink is beautiful with great shopping opportunities. There are also some great restaurants in this area. 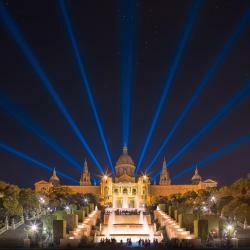 People are talking about Plaza Espanya! Explore guest hotel reviews featuring "Plaza Espanya"
It very well located and communicated and near to my temporary work place. The arrival service was easy and professional. There is a daycare downstairs but we get up early alway so no problem. For sightseeing there are things (closest is Plaza Espanya, Arenas..). Breakfast places are around and also nice restaurant. In general very satisfied. Thanks! We haven't tried the breakfast but it looks and feels really amazing. 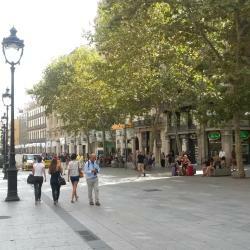 The location is very accessible, about 3min walk to the nearest metro station and about 1 station away from Plaza Espanya.